Latest Articles. You will now see our most recently published stories on the right-hand side of the home page. For a whole page of the latest in corporate finance news, click on News in the top navigation bar. Search. One of the best improvements on the new site is our enhanced search. We heard our audience and developed a site search function that’s fast, produces easy-to-scan results, and catalogs more than a decade and a half of CFO-focused content. Tag links. At the bottom of web stories, you can click on story tags to read articles related to that topic. Click on the tag Metric of the Month, for example, and you’ll see two years of excellent benchmarking columns from APQC. CFO Magazine. 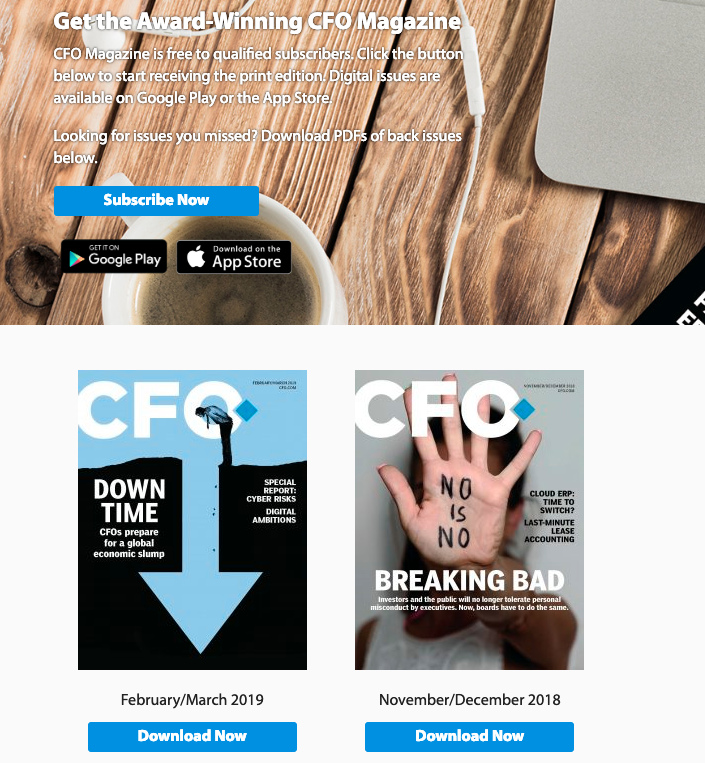 Click on CFO Magazine in the top navigation bar and you’ll come to a page where you can subscribe to our award-winning print edition. Current subscribers and casual readers, for the first time, can download PDFs of back issues. You will also find links to the CFO Magazine iOS and Android mobile apps. 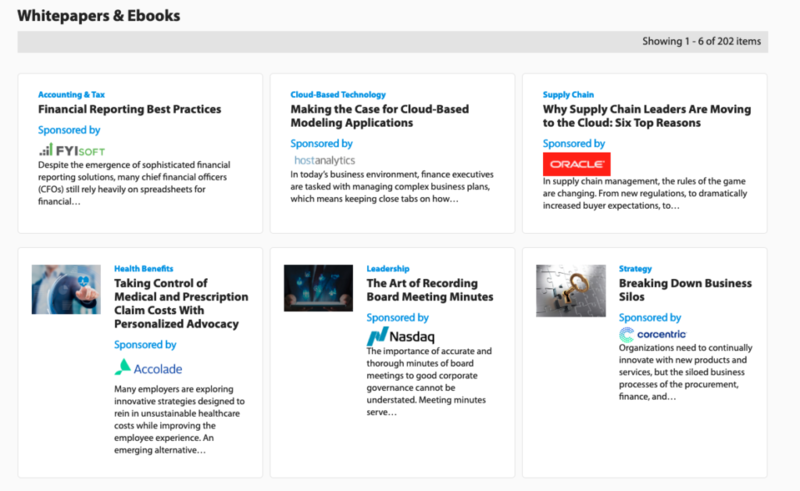 Want to really dig into a topic or trend? 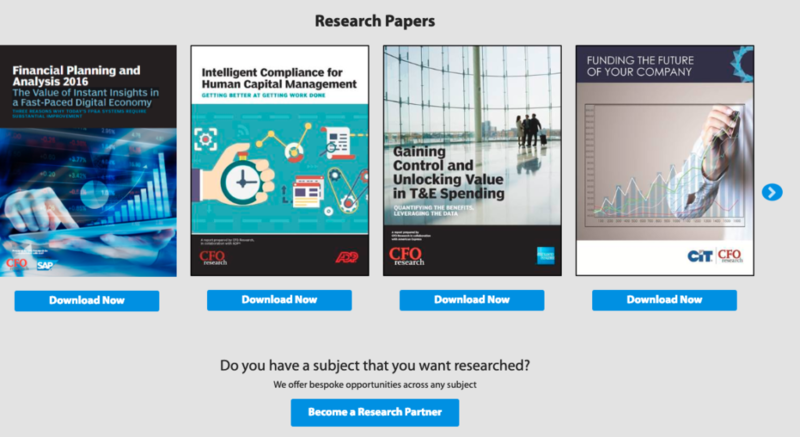 On our Resources page, you will find the popular in-depth reports from CFO Research as well as whitepapers and ebooks from industry sponsors. Mobile web. Finally, since we’re a responsive site, our mobile web experience is also infinitely better, allowing quicker access to webinars, whitepapers, and research reports. In addition, topics are easier to navigate via a drop-down menu. By the way, if you’ve never tried our CFO mobile app, developed by MAZ, now is the time. It just got a big facelift and includes the latest stories and news published on the website, in a highly readable format. While the staff of CFO is proud of the new look, don’t hesitate to send us comments on how you’re finding the experience. Our top priority is delivering you the information and advice you need in an efficient, highly readable format. Use the comments section below or email me at vryan@argyleforum.com. 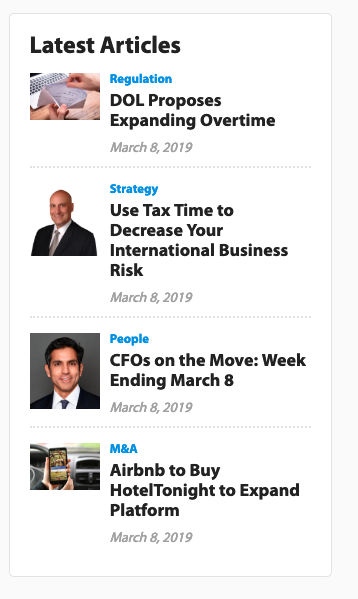 We hope you enjoy the new CFO.com. I like the new redesigned website. Great job! !